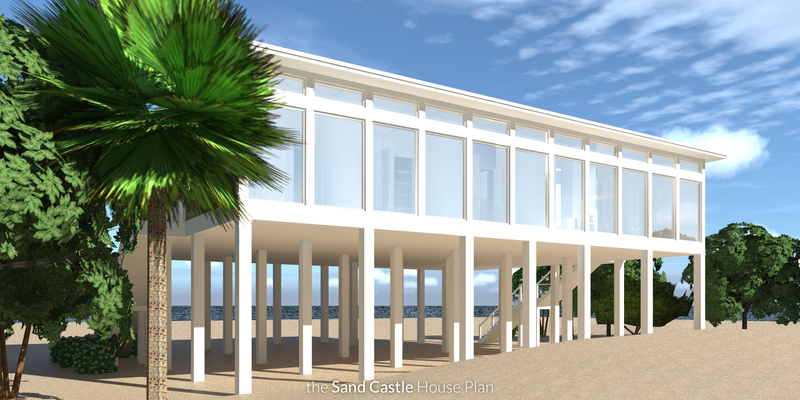 The Sand Castle House Plan. 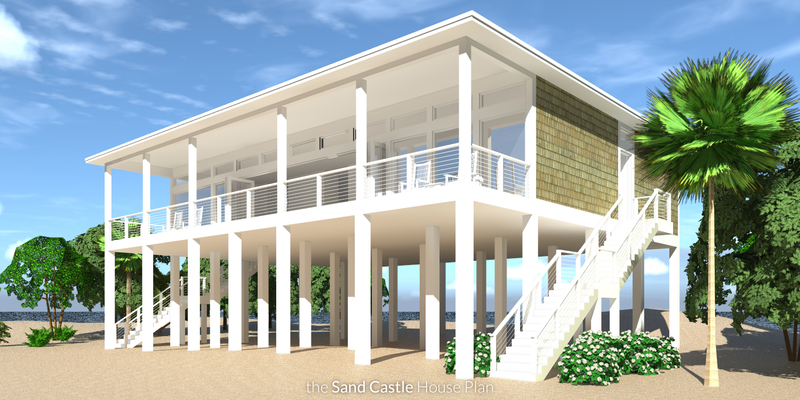 Sand Castle is a modern piling home with a loft-style living space. 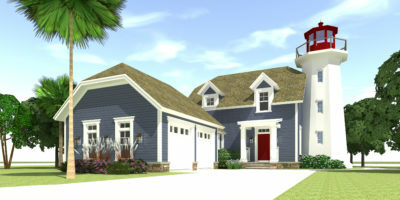 It has 4 bedrooms with lots of storage and the laundry area directly off the hall. 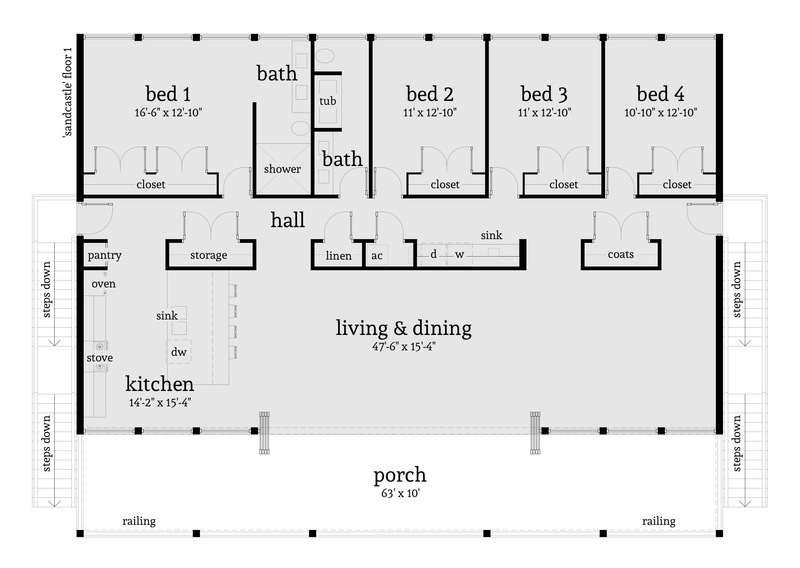 Folding doors open the entire living space to the covered porch. 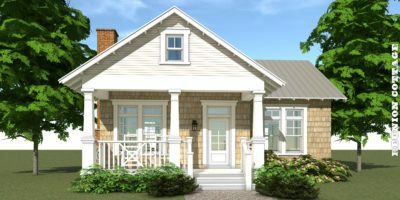 The foundation is designed with wood pilings and cable cross bracing. The floor is pre-engineered wood trusses.